Updated May 10, 2017 – When House legislators returned Wednesday afternoon to the Committee of the Whole, House Speaker J.D. Mesnard withdrew his revised amendment to Senate Bill 1156. Mesnard’s revised amendment introduced earlier Wednesday would have required sufficient inflationary funding to go towards cost of living adjustments for teachers’ and staffs’ salaries. The amendment would have violated the intent and spirit of Prop. 301 and the settlement agreement in Prop. 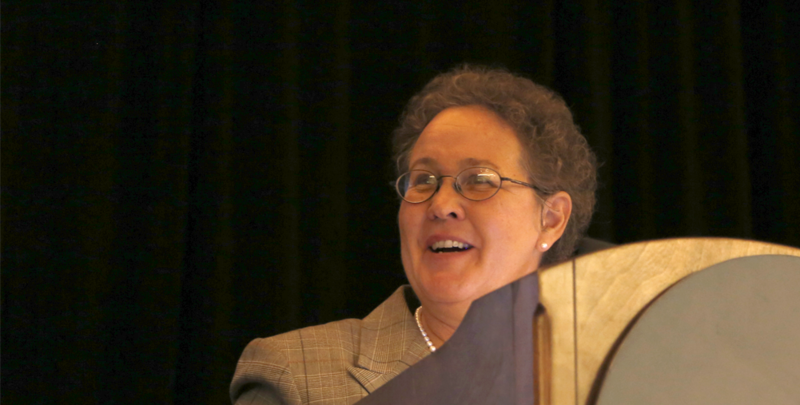 123, said Chris Thomas, associate executive director of Arizona School Boards Association and chief legal counsel. Arizona Governor Doug Ducey’s spokesman Daniel Scarpinato said the governor is not interested in reopening the settlement to add the new requirement, according to an Associated Press article. During the Committee of the Whole, Mesnard spoke about what his revised amendment was meant to do before he withdrew it. 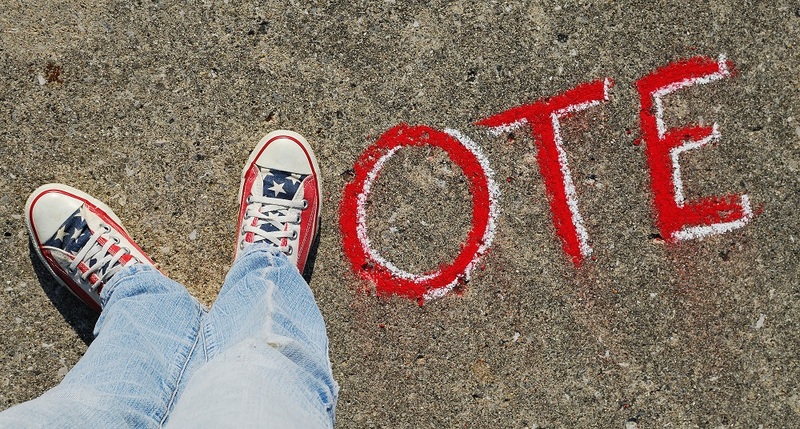 “This is a pretty simple amendment that I think is within the theme of what many have been focused on this session and that is how do we get more money to teachers,” Mesnard said. “I wanted to highlight something that has been a growing frustration for many of us here and many of the teachers out there, at least those that we hear from many of us, and that is back in 1998 or 1999 whenever Prop. 301 was put out there, it was sold as way among other things to get more money to teachers,” Mesnard said. Mesnard said he had the arguments that were made in favor of Prop. 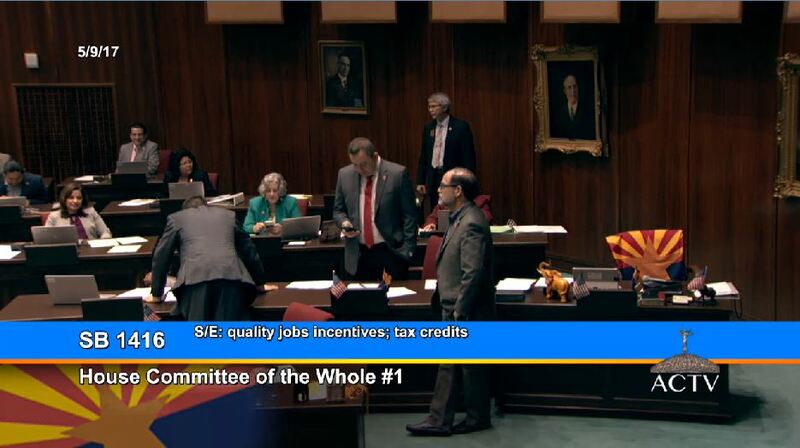 301 in front of him and said many of them mentioned how this would remedy Arizona’s low teacher pay. Yet, there is no requirement that the money go to what the proposition was “sold as,” Mesnard said. “This says that the first dollars going to schools needs to go to a COLA (cost of living adjustment) for teachers,” Mesnard said. Mesnard said he realized he introduced hit amendment late in the session, but he wanted to put it out there to get people talking about it. “With that, Mr. Chairman, I withdraw my amendment,” Mesnard said. House members approved the withdrawal of the amendment. 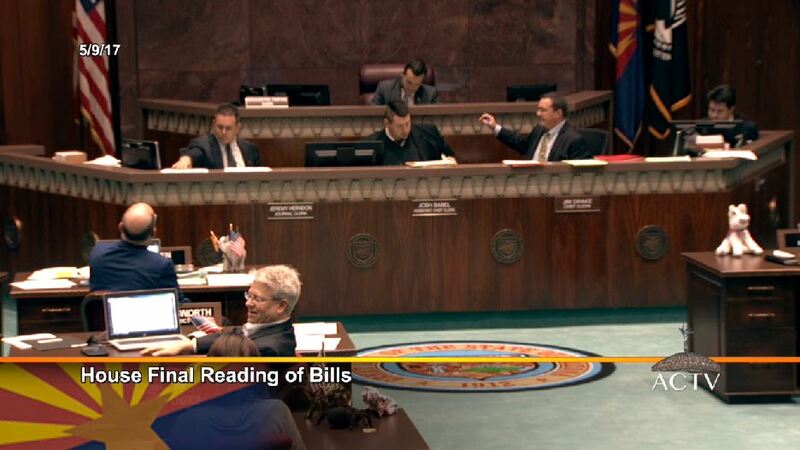 Members of the Arizona House of Representatives may consider an amendment to Senate Bill 1156 that would violate Prop. 301 and the intent of the settlement agreement in Prop. 123 when legislators return Wednesday at 10 a.m. The amendment, by House Speaker J.D. Mesnard to SB 1156, would require at least 50 percent of inflation monies to be used by local education agencies to increase teacher salaries. 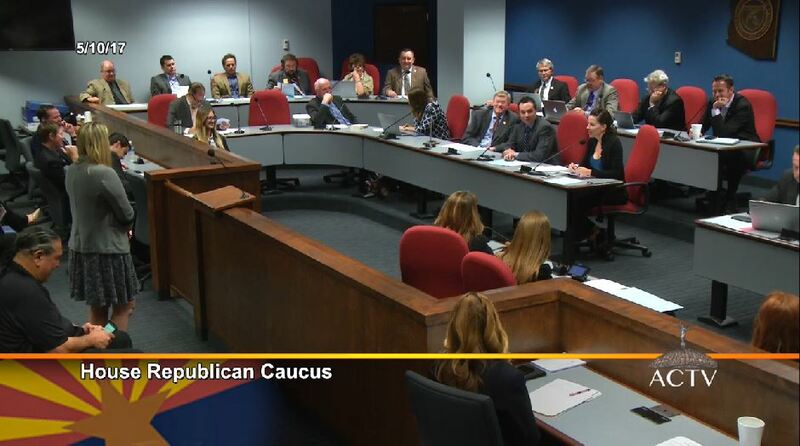 House members met starting at 10 a.m. today to consider and vote on several bills, then adjourned shortly after 3 p.m., before debating the Mesnard amendment, but it could come up for a vote anytime before this legislative session ends. 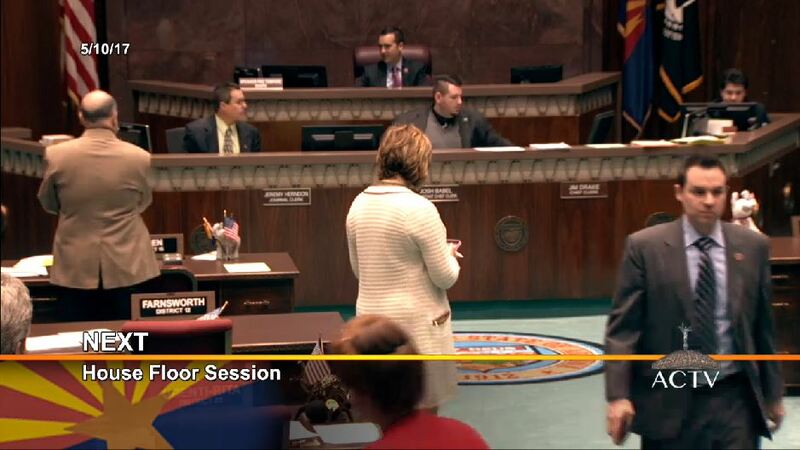 Arizona School Boards Association is opposed to this amendment, said Chris Kotterman, director of governmental relations for Arizona School Boards Association. 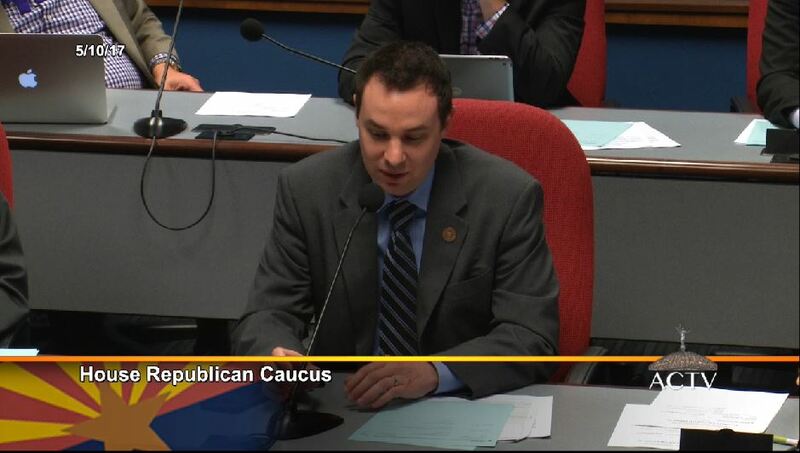 Mesnard said school districts should be using built-in inflation growth to provide inflation raises every year, according to an article in the Arizona Capitol Times. “I mean this makes the point that there’s already supposed to be a cost of living adjustment for teacher salaries, among others, every year. 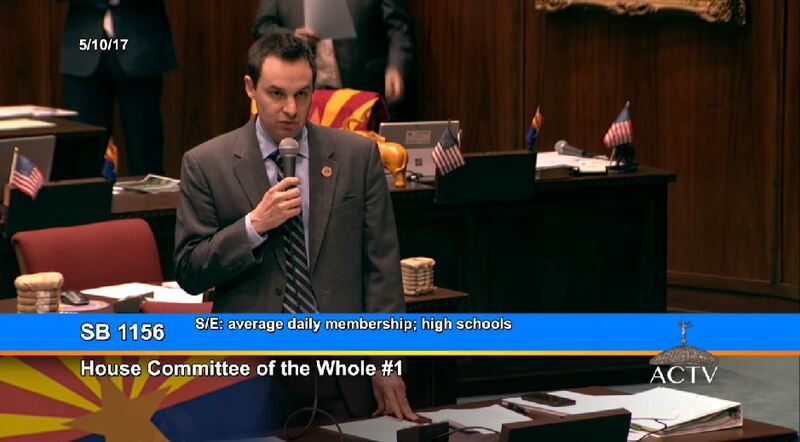 So this idea that the raise we gave didn’t keep up with that or the districts are totally off the hook for teacher salaries, I think this single amendment makes the point that that is not the case,” Mesnard said in the Arizona Capitol Times article. Placing restrictions on inflation funding ties districts hands and is a distraction from the fact that the Legislature continues to fail to fulfill its responsibilities, Vega said. “The other one was the inflation mandate that would give districts to determine at the local level to deal with other expenses that have – their personnel, operations issues, even maintenance issues,” Thomas said. “There are a lot of other things going on in districts right now or course, we’re having current year funding fully implemented, and we’re having the 85 percent cut continuing with the district additional assistance at a time when we need maximum flexibility,” Thomas said. “The vast majority of districts probably will put more than half that money in teachers’ salaries, but the point is that’s a local decision and that’s something we very much believe in,” Thomas said. Kotterman said ASBA is reaching out to all members of the House of Representatives to let them know their opposition to this amendment. Concerned community members are asked to contact their legislators in the House and Senate to let them know how they feel about this amendment.